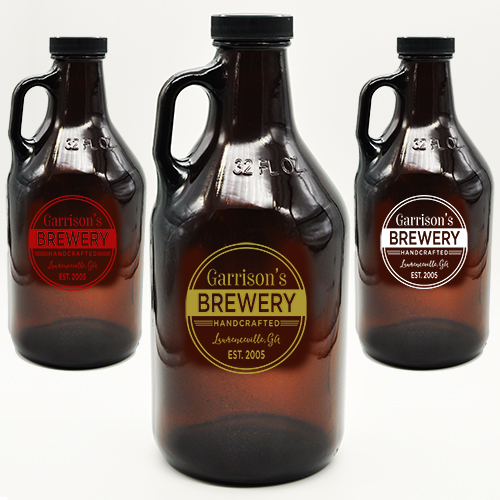 For your Man Cave, this amber growler customization is made to look like it came from a brewery. Add your personalized information & add your home made brew. Got a home based brewery in your kitchen? Need a vessel to pour your concoction into? This 32 ounce/1 liter or 64 ounce/2 liter amber growler is the perfect solution. 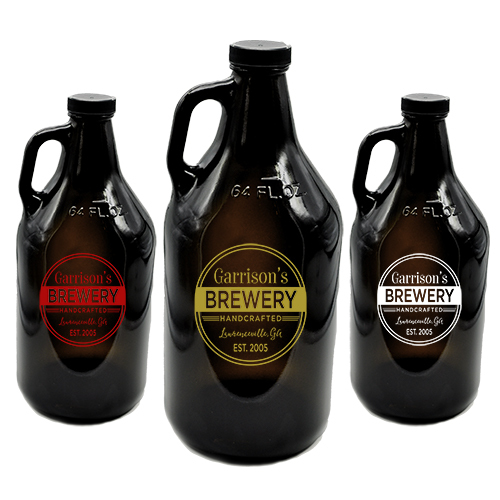 Designed to look like it came from a professional brew house, you can simply add your personalization. Sandblasted in your choice of natural etching, red, white or gold color fill. Don't forget to seal it up with the twist top lid included. Hand Wash Only!